Thank you for your contribution! Eddie Mannis For Mayor is powered by each and every one of you - and we couldn't do it without you! If you would like to send a check you can mail it to: Eddie Mannis For Mayor, PO Box 12144, Knoxville, TN 37912. 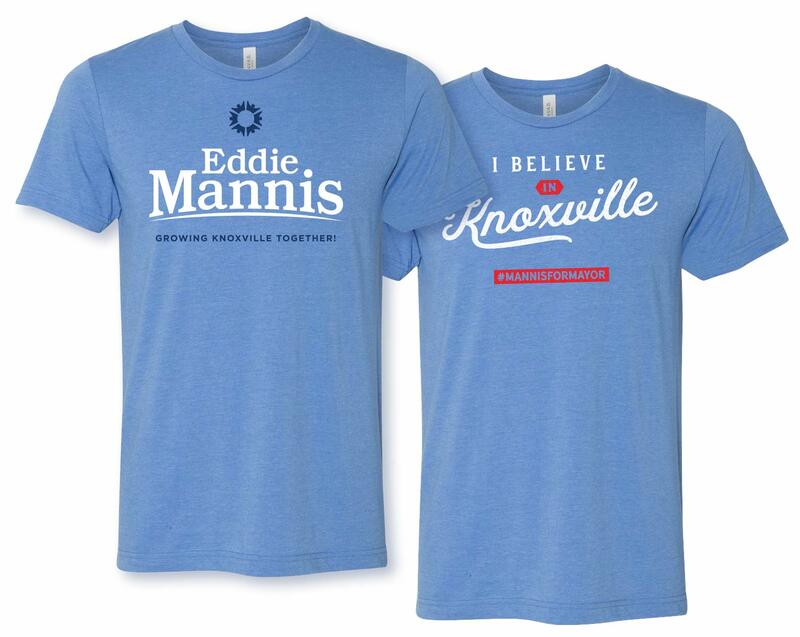 All donations of $100+ receive an official Eddie Mannis For Mayor tee shirt! All donors will receive an official Eddie Mannis For Mayor sticker that you can put on your car or person to show your support and help spread the word!